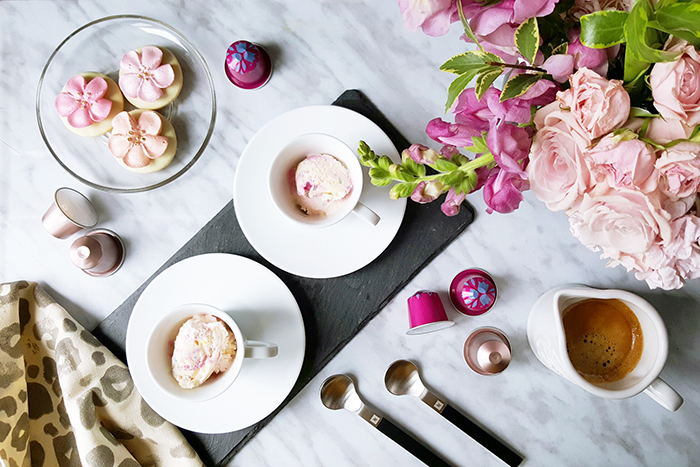 I really enjoy having a cup of coffee or espresso after a nice meal, I find that it’s such a great substitute for dessert without adding the extra bit of calories. However, from time to time, I LOVE adding dessert into the mix because let’s face it, they’re just way too tempting! A few weeks ago, while I was brewing a cup of coffee after dinner, I ran out of milk. I improvised and created a makeshift affogato dessert by adding some vanilla ice-cream. It was so delicious! My unplanned affogato dessert was such a success that I couldn’t help but to attempt again. 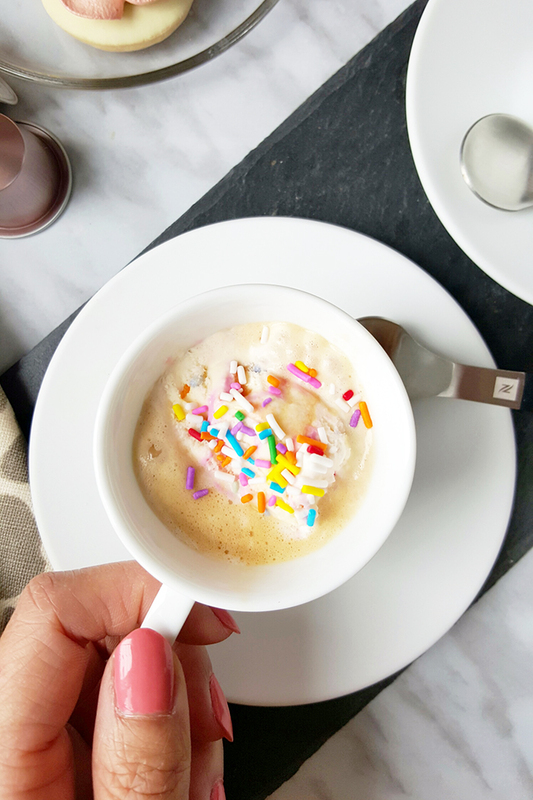 This sprinkle version is a fun and modern take on the classic affogato dessert. 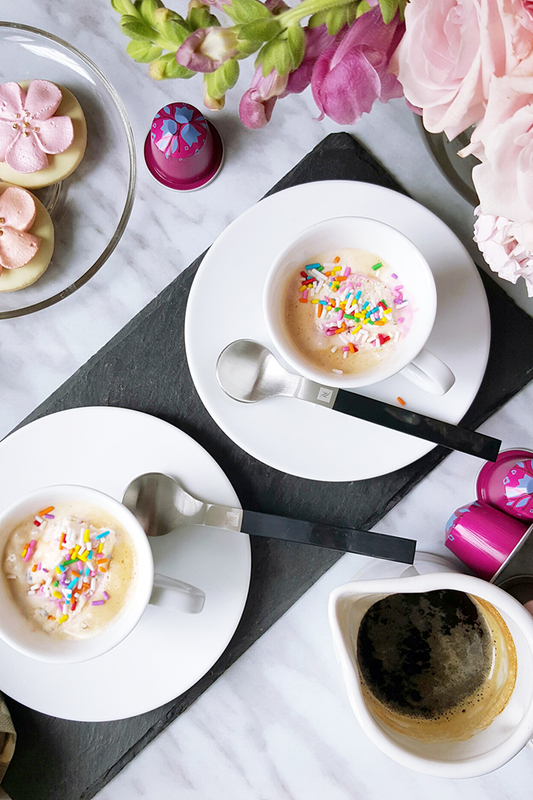 It was prepared with a scope of Sprinkle Party Cake ice-cream and topped with a shot of Nespresso espresso! Keep reading for the full recipe! I used my new Prodigio machine to prepare my hot espresso. 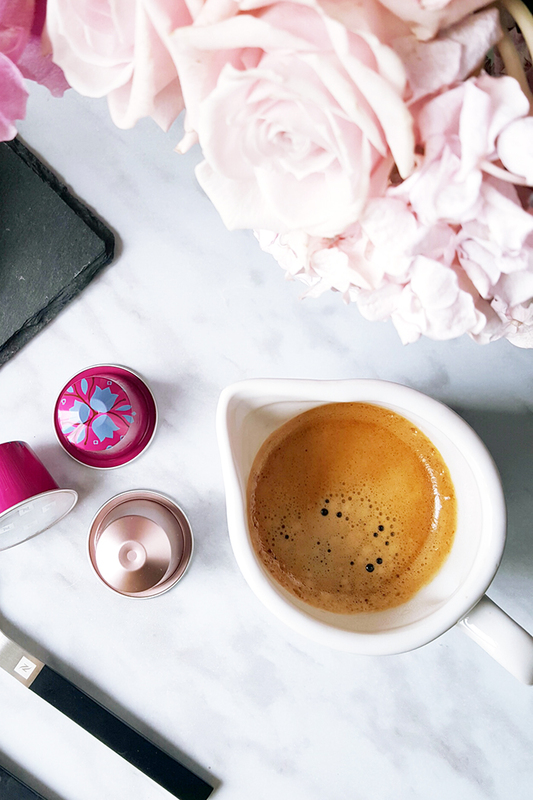 This is the first connected coffee machine that Nespresso has to offer. 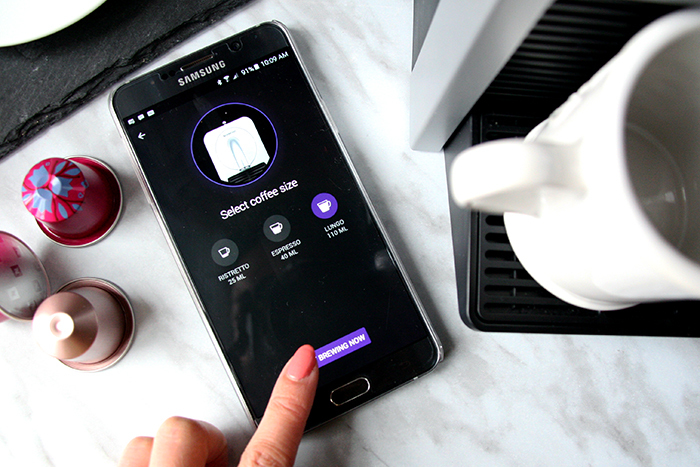 And it allows you to brew straight from your mobile device via the Nespresso app (Apple or Android)! It has honestly been so much fun being able to brew a cup of espresso from anywhere in my house. 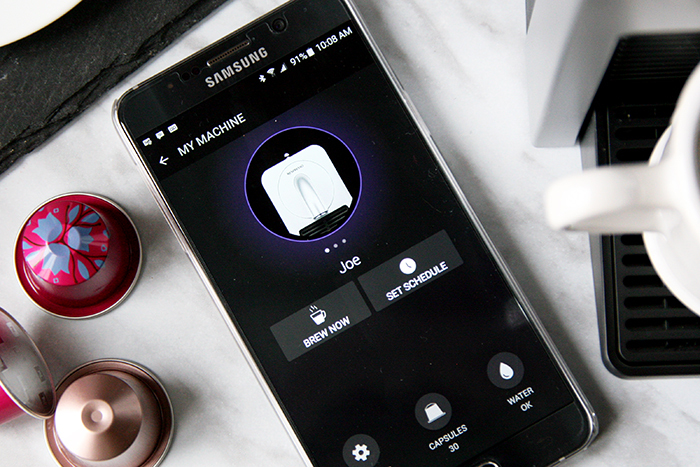 The app, when connected to the machine tracks capsule stock, brews coffee, and also alerts you when the water levels are too low, or when the machine requires maintenance and care. We honestly love the addition of “Joe”, our Prodigio machine (yes, you can even name it!) in our kitchen! 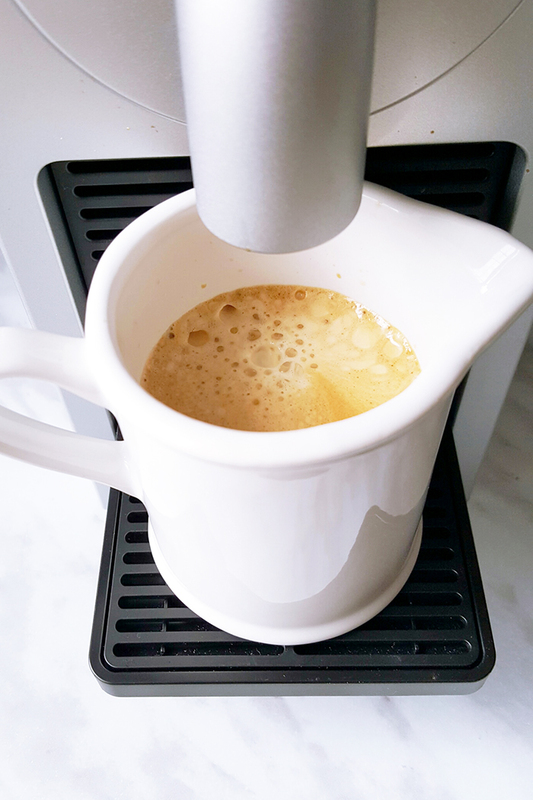 This recipe is so simple but I do have to say, make sure you start with a high quality cup of espresso! 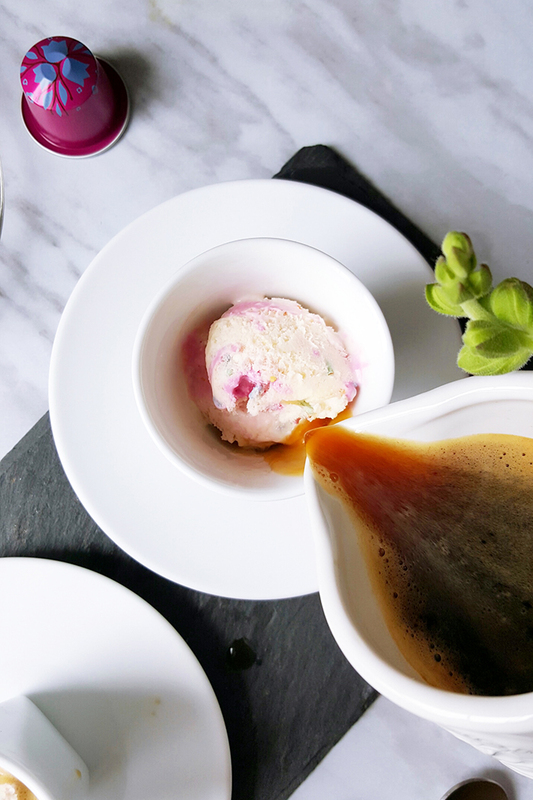 The hot espresso melts the ice-cream which creates a beautiful layer of creamy froth! 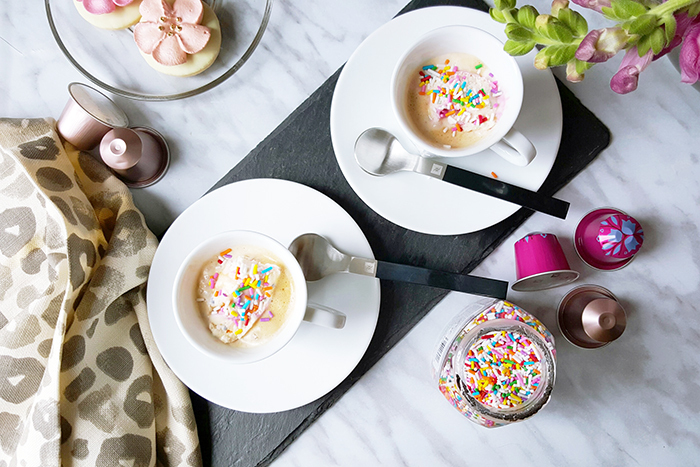 I hope you’ll give this easy affogato dessert a try. Oh my, this looks delicious and so cute. The sprinkles add such a nice touch!